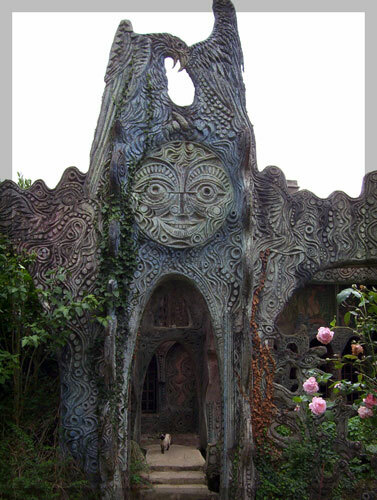 Jacque Lucas realized his sculptured house, an outstanding architecture, since 1968, in the Bretagne region near Rennes. An accumulation of engravings, paintings, and sculptures, intertwined by lianas, trees and moss of the surrounding nature. "La Maison Sculptée" is a living work, progressing with time. "A mansion out of the ordinary...you can think of all sorts of classifications employed by those who would like to put "La Maison Sculptée" into a definitive category.